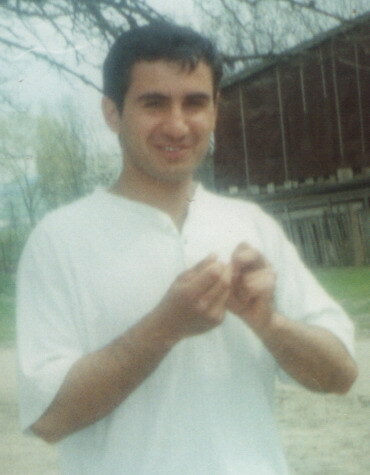 Tsizdoev Idris Maksharipovich, 1981. kidnapped May 26, 2009. Early in the morning on May 26, in Malgobek town in the Gogol street, 10-12 armed people in camouflage forms and masks burst into Tsizdoevs’ house . At this time Tsizdoevs were out of doors. Did not explain anything they have seized Idris Tsizdoev and frogmarched him into the yard. According to his brother, Idris was beaten by kidnappers. In 10 minutes the kidnappers left the house having taken Idris. Tsizdoev’s relatives immediately applied to the police of Malgobek OVD. This information has been passed to militia posts, and on one of them by officers of a patrol and inspection service had been stopped the «Gazelle» vehicle, the captain of militia Tsurov has arrived on the scene and required explanations, but from «Gazelle» vehicle got out a man (kidnapper) in the black form, has shown the certificate in name of the officer of secret service (ORB) and has required to pass his group. Kidnappers have left towards Nazran. The fate and whereabouts of the subject remain unknown. The Malgobek municipal procurator’s office instituted criminal proceedings on the basis of evidence of an offence under article 126, paragraph 1, of the Criminal Code of the Russian Federation (abduction of a person).